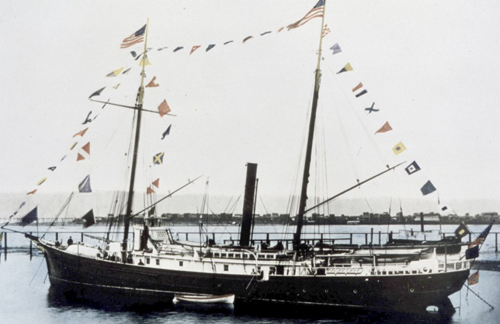 Characteristics: Steamer, schooner-rigged, built by C. H. Decameter, New York, New York in 1875, cost $63,400, composite wood and iron construction, 140ft long x 24ft beam x 8ft draft. Log Period and Areas of Service: 1875-1915, Atlantic and Pacific coasts, Alaskan waters. Served mainly off Atlantic and Pacific coasts. 1876-77, 1879-84 - period in Alaskan waters.